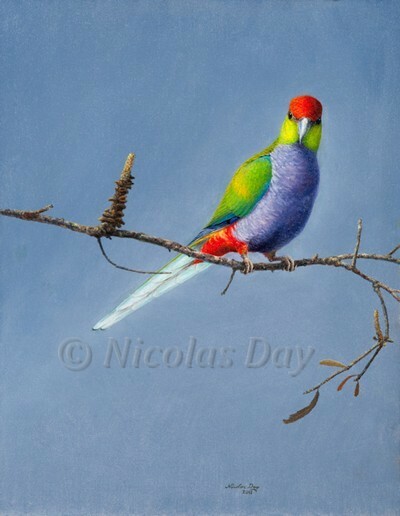 Red-capped parrot print from original Nicolas Day painting. This inquisitive aviary escapee stayed in my neighbourhood for around three years, keeping company with eastern rosellas. He became very used to me and would call and follow me for food. I drew him and observed his behaviour frequently. Although a native of S.W. 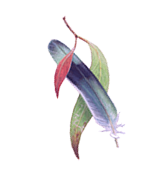 Australia, he obtained food from a variety of native and introduced plant species in his new environment.